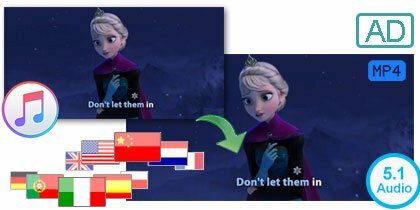 Keep AD & AC3 5.1 audio and all multilingual subtitles & audio tracks. 20 faster speed to remove DRM from iTunes purchased & rental videos. Strip iTunes DRM and Convert M4V to MP4, MOV, AVI, MP3, etc. Preserve 100% original quality. Support batch conversion. Fully support macOS Sierra 10.12 & iTunes 12.8. Note: #1. Currently the program is not compatible with macOS 10.13 High Sierra or above. If you have an access to Windows platform, we advise you to turn to our Windows version. 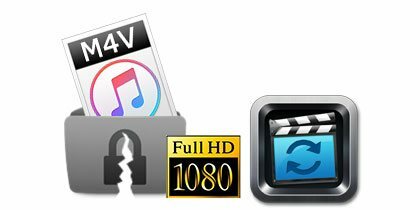 M4VGear can keep AC3 Dolby 5.1 audio and AD track when removing DRM from iTunes videos, which is what it's competitors cannot do. 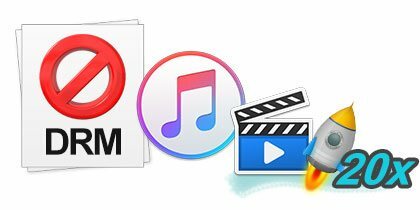 Besides, Multilingual subtitles and audio tracks (including audio descriptions) of iTunes videos can also be saved with this powerful DRM Video Converter. 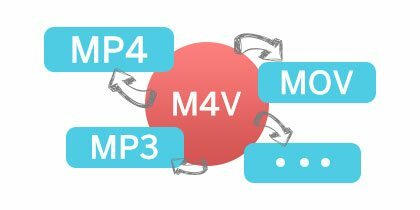 M4VGear adopts an innovative DRM decrypting technique which makes it the fastest DRM video converter in the world and capable of removing DRM from both iTunes purchased movies, TV shows, music videos & iTunes Extras, and rented movies at 20X faster speed. Generally, you can remove DRM from a 2-hour movie in about twenty minutes. 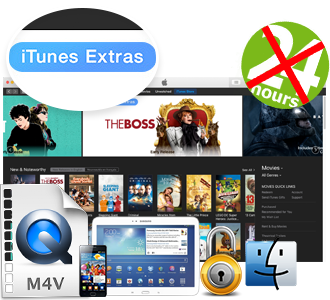 M4VGear can convert iTunes M4V videos to lots of DRM-free video and audio formats such as MP4, MOV, MP3, AAC, etc. Besides, M4VGear also supports outputting iTunes videos to mobile devices like iPhone 8, iPhone 8 Plus, iPhone X, iPhone XR, iPhone XS, iPhone XS Max, Apple TV 4, Samsung devices and Google Nexus series, etc. M4VGear is capable of retaining 100% original quality when removing DRM from iTunes videos (including iTunes Extras). In other words, you can get lossless output videos by M4VGear once the conversion is finished. Batch conversion is supported as well. You can convert several videos at one time. 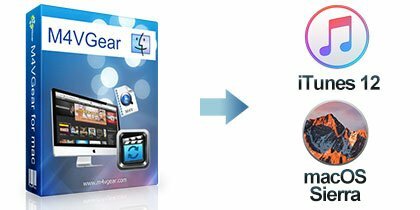 M4VGear is compatible with Mac OS 10.7, 10.8, Mavericks 10.9, Yosemite 10.10, EI Capitan 10.11 and macOS Sierra 10.12. Besides, it fully supports the latest version of iTunes 12.8. Excellent program! The speed of M4VGear is faster than I thought, and it keep the same quality as the original. I can handle it by myself. Sometimes you need a piece of software to do one simple thing, and you need it to do it well. That's exactly what M4VGear does. It simply takes DRM videos downloaded from iTunes and makes them DRM-free.